McLaren junior Nyck de Vries took a dominant victory in the Formula 2 sprint race at Paul Ricard, as several drivers were hit by mechanical woes. 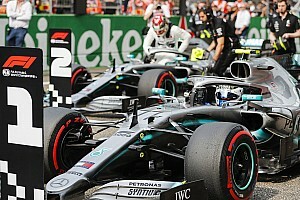 Issues with the new-for-2018 Formula 2 car continued as George Russell and Nirei Fukuzumi both were pulled into the pits before the formation lap and Artem Markelov, as well as MP duo Ralph Boschung and Roberto Merhi were unable to get off the line at the start. In addition, Sean Gelael pitted with an apparent mechanical problem and Tadasuke Makino's car slowed during the race. At the start, polesitter Makino had a sluggish getaway and Nicholas Latifi took the lead ahead of Louis Deletraz and de Vries. Deletraz kept the pressure on Latifi and managed to pass the DAMS driver at the Turn 8 chicane, with de Vries following suit two laps later. De Vries quickly slashed Deletraz's initial lead of 2.5s, the Dutchman running less than a second behind by lap 11. The Prema driver then soon made a move at Turn 8, moving around the outside of Deletraz to take the lead. De Vries had superior pace and won by 9.6s with Deletraz narrowly managing to hold on to second in the end. 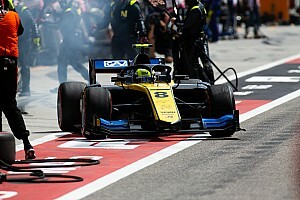 Luca Ghiotto passed Latifi to match his Race 1 result in third, and was only two tenths behind Deletraz at the finish. 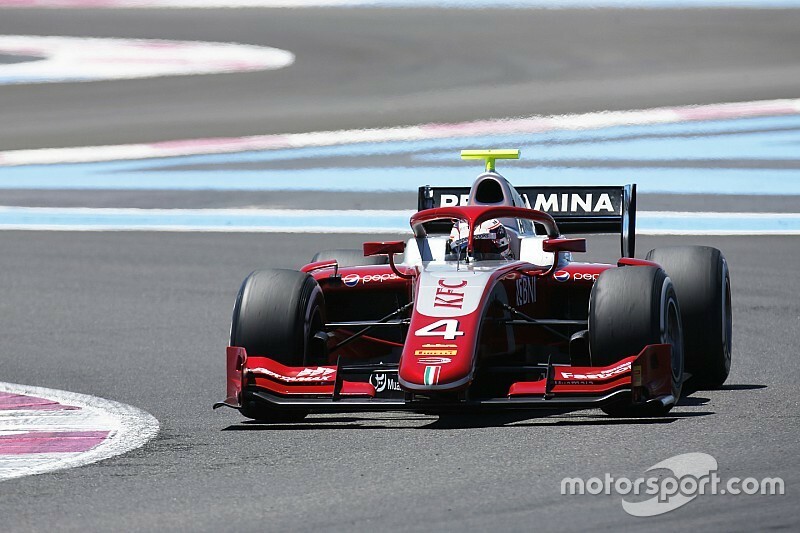 Antonio Fuoco was defending from Sergio Sette Camara in fifth, the duo soon joined by Lando Norris, who found himself ninth after the start and then passed Maximilian Gunther before he caught up with his teammate. Norris' first overtaking attempt on Sette Camara ended in a mistake as he went off-track at Turn 8. 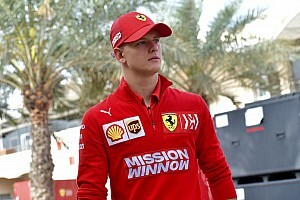 However he was able to edge ahead of the Brazilian on the outside line of the same corner next time around. The Carlin duo were side-by-side on the second half of the Mistral straight but, with Norris having the inside line into Signes, the Briton completed the overtake. 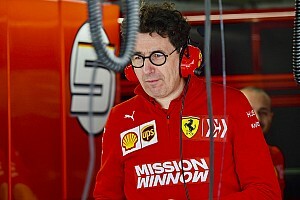 Norris had three laps left to pass Fuoco as well, but the Ferrari junior instead passed the struggling Latifi and finished fourth. Norris also moved ahead Latifi on the main straight on the final lap, but the Canadian ended up hitting the back of the championship leader, heavily damaging his own front wing. 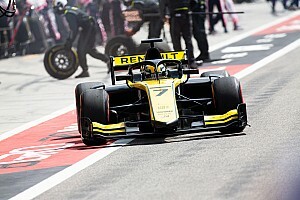 While Latifi dropped as low as eighth, Norris completed the race in fifth, followed by Sette Camara and Alex Albon, who recovered from 17th on the grid. 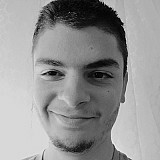 The top 10 was completed by Santino Ferrucci and Roy Nissany. Jack Aitken retired before the start of the race as he spun out at the final corner of the formation lap.